Morris Law Firm, P.C. provides dedicated and aggressive representation to its clients. 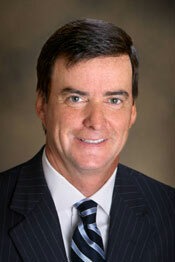 Ed Morris has been a trial attorney for more than 31 years. Morris Law Firm, P.C. has a diverse client base which ranges from individuals who have sustained serious injuries to corporations embroiled in business disputes. We have a statewide practice and have been called upon to represent clients in other states as well, including jury trials. And no matter the client or the location, all of our clients receive the same thing -- dedicated and aggressive representation. In short, Morris Law Firm, P.C. has earned a hard fought reputation in the courtroom and we are ready to put our skill and knowledge to work for you. We encourage you to review our website and contact us for a confidential consultation. Ed Morris has the highest peer rating accorded for both ethics and abilities by the preeminent, national rating publication. Ed Morris has tried numerous cases to jury conclusion in both state and federal courts. Ed Morris has been engaged in complex, commercial civil litigation since 1980.